Sleek yet aggressive, the G5422T has a thinner, fully hollow build with a true Filter’Tron™voice that captures the resonant hollow-body sound with a more present and chiming voice. 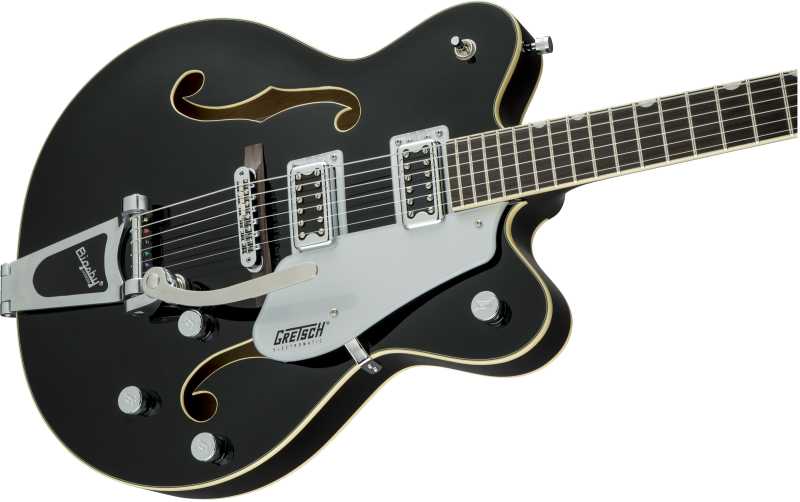 Like all Electromatic guitars, it delivers the fearless and electrifying authenticity that has set Gretsch apart asthequintessential rock ‘n’ roll guitars from the very beginning. It’s the sound of honour itself—play proud. 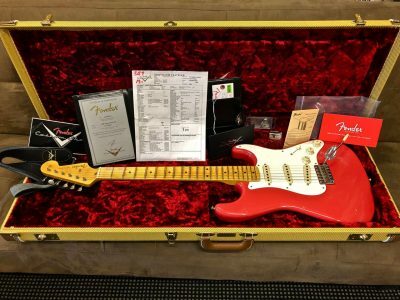 Premium features include dual Black Top Filter’tron humbucking pickups, versatile upgraded controls including master volume treble-bleed circuit, oversized bound F holes and aged multi-ply body binding, smaller late-’50s G6120 bound headstock, Graph Tech NuBone nut, pearloid Hump-Block inlays, and a Bigsby B60 vibrato tailpiece. 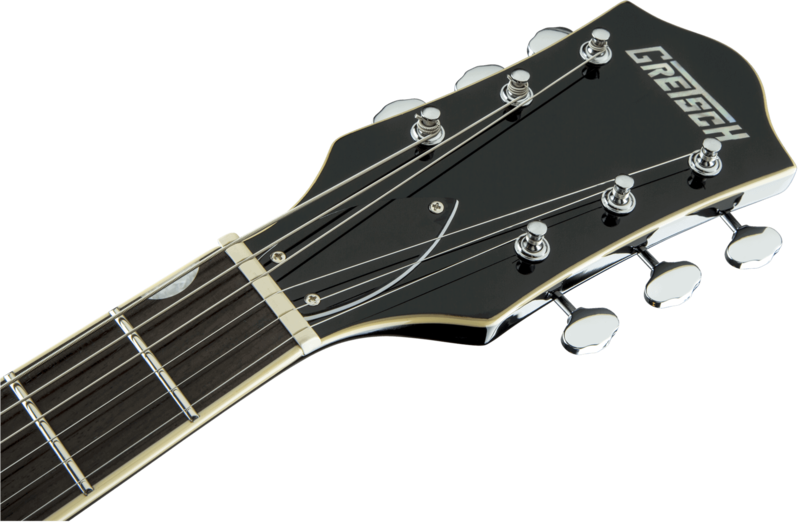 With its emphasis on hand-craftsmanship and commitment to quality over a storied 135 years and counting, Gretsch has pioneered new designs and manufacturing techniques, winning endorsements from some of the music industry’s most respected artists, including Chet Atkins, Eddie Cochran, Billy Duffy, Bono, Duane Eddy, George Harrison, Brian Setzer, Stephen Stills, Neil Young and Malcolm Young. While it may be an unlikely start for a century-plus long musical legacy, young Fred wasn’t the typical teen. By 1916 he had built the company into one of America’s leading importers and manufacturers of musical instruments, and the operations moved into a 10-story building at 60 Broadway in Brooklyn. Command was again passed to Fred Gretsch, Jr. and the Navy veteran led the company into a new age of prosperity in the 1950s. 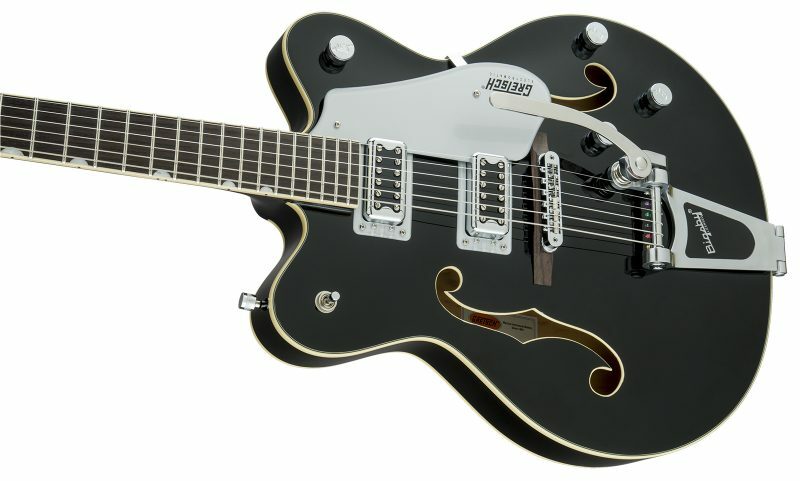 Gretsch, being the first to use custom color finishes, and offering a wide variety of space age gizmos and gimmickry, was uniquely positioned to succeed in this “Atomic Age” era. 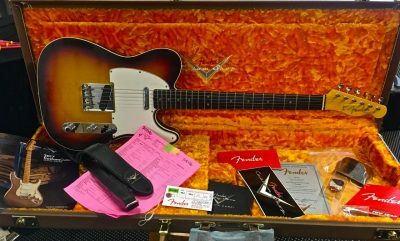 During the ‘50s, they even outsold Leo Fender’s wonderful new creations, with a boost in sales also credited to high-profile artists and endorsers like Chet Atkins, Eddie Cochran and Duane Eddy. In the late-’60s, Fred Gretsch retired and sold the company to Baldwin Manufacturing. Baldwin had difficulty understanding Gretsch’s position in the market and failed to make a transition through the psychedelic ’60s and hard-rock ’70s. To make matters worse, Baldwin moved production to Arkansas, and Gretsch suffered through two disastrous fires. The Baldwin marriage was always an unhappy one, and eventually resulted in a shutdown in production in the early-80s. But ever since the company had left the family, Fred W. Gretsch had vowed it would return. In 1985 his dream came true, and through the 1990s he brought Gretsch back into the limelight with a series of successful re-issues and new models. In late 2002 a deal was struck for Fender Musical Instruments Corp. to handle Gretsch Guitars manufacturing and distribution, allowing “That Great Gretsch Sound” to be heard worldwide once again. To learn more about the incredible legacy of Fred Gretsch and his family and to enjoy a timeline highlighting the rich history of the Gretsch Company, visit their website here: “The Gretsch Company”.